It’s November and the holiday season’s here. The biggest shopping days of the year are just ahead and you’re looking to hit the ground running. Your site is clean, festive, and fast. Your shelves are stocked with the season’s biggest sellers, and your people are bright-eyed and raring to go. Just in time for the big rush, The Packaging Company’s got some holiday shipping advice to turn your operation into a smooth sleigh ride. Making sure you’ve got enough packaging materials on hand is one of the most important parts of planning for the holiday shopping season. But with everything you’re taking care of, it can also be one of the most easily overlooked. That’s why we’ve made this tip number one. While you’re filling shelves with products, don’t forget to fill just as many shelves with quality corrugated boxes, bubble mailers and tape, and fill materials like kraft paper and bubble cushion. It’s a smart idea to have at least 15% more packaging material than last year, as your sales will be higher and you’ll always need more material than you think you will. Keep your packing areas organized and clean so that your time is spent just on packing up customer orders, not on finding enough clear space to work. And speaking of time, pre-packing some of your most popular sellers beforehand will save you even more time at the packing table. With online shopping bigger than ever, delivery services are handling more parcels than ever. Keep an eye on the calendar, and make sure your customers are aware of shipping times and ship-by dates. Black Friday and Cyber Monday cause big spikes in shipping volumes which can slow down delivery times. The holiday season is the perfect time to have some real fun with your packaging. E-commerce boxes are the perfect blend of shipping strength and attractive packaging. They come in so many great options, like self-locking boxes, coloured surfaces and even festive tissue paper and void fill. Offering gift wrapping options (or even including gift wrapping in the package) and custom name tags are a great way to make a customer smile, and you can up the holiday cheer even more with a handwritten thank you card, a few candy canes, or even a discount coupon. Choose the smallest, most appropriate packaging possible for your product—extra space means you’re just shipping air! Books ship better in narrower, flatter boxes because they restrict movement and need less fill material. Jewelry travels well in its display box, shipped in a bubble mailer. T-shirts and other clothing can make the trip in a poly mailer, tear-proof and tamper-resistant. Using a box that shaves an inch off height or even an ounce off weight can make a difference of several dollars. 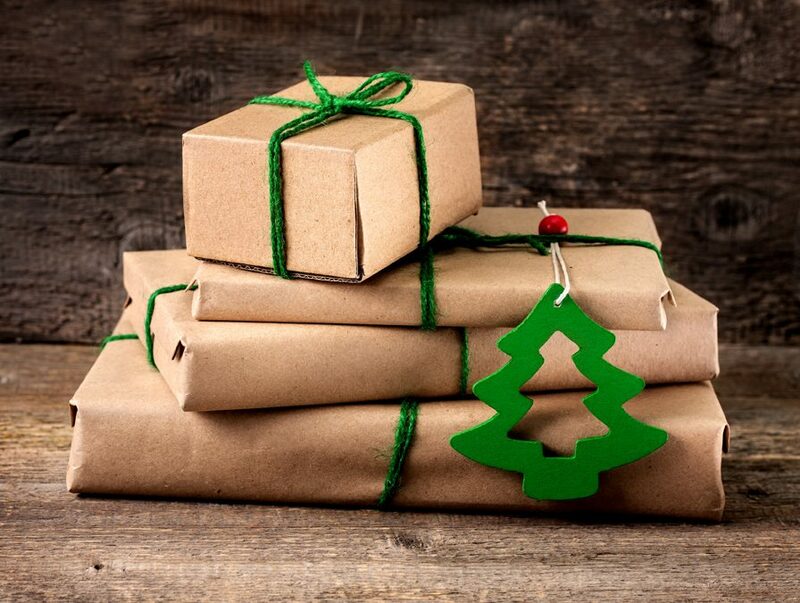 Buy better packaging materials instead and layer the box with fill like kraft paper or newsprint (just be careful with newspapers, the ink may rub off). Wrap up more fragile objects in bubble cushion or foam, then seal the box up tight with packing tape. For an extra bit of eye-catching flair, use brown paper tape or coloured packing tapes. It’s going to be a great but busy couple of months, and you’ll need everyone (and everything) at their best. With quality packaging materials and packing tips from The Packaging Company, you and your products are in good hands. Your holiday shipping season is looking bright.